Meredith Benjamin took her first ballet class at age 5, which was the beginning of her lifelong love of dance. She attended summer intensives with ABT, Miami City Ballet, and others, and spent her first year of college as a member of the Alvin Ailey/Fordham University BFA program. She holds a PhD in English with a certificate in Women's and Gender Studies and currently teaches in the English Department at Barnard College. She has also connected her experience in dance and writing as freelance writer for Dance Magazine and Dance Spirit. She has been teaching at Groove With Me since 2007 and cherishes the opportunity to share her love of dance with the girls in her ballet classes! Alison Candamil has been dancing since age 3. She spent 15 years at Diane's Dance Center on Long Island, both studying and teaching ballet, tap, jazz, lyrical, and pointe. She attended Marist College in Poughkeepsie, NY where she earned her degree in Psychology and Special Education. At Marist, she was a board member, choreographer, and student in the Marist College Dance Club. The student-run organization put on two shows a year, for which Alison choreographed tap and pointe classes for college students. Upon graduation, Alison moved to New York City as a teacher. She currently teaches at Success Academy Union Square. As she continues her passion for dance by taking ballet and tap classes around the city, she is thrilled for the opportunity to teach a love for ballet at Groove With Me. Throughout her dance career, Alia has studied and explored many different types of dance and performed in a variety of pieces, but her favorite role as a dancer is as teacher. For Alia, dance has been the most formative and effective method of emotional and physical expression and she is so excited to be able to share that experience and passion with all of her students at Groove With Me! Amelia Chen began her ballet studies at age 3 in Southern California. She focused on classical and contemporary dance throughout her training at the Orange County School of the Arts, and spent summers at Boston Ballet, American Repertory Ballet, and LINES Ballet. She has a B.A. in Human Biology from Stanford University and is a recent graduate of Columbia University’s Premedical Postbaccaulareaute Program. She has experience teaching pre-ballet, adult ballet, choreography, contemporary, and modern dance. Her most recent teaching position was coaching both the outreach and the preprofessional programs at Dance For All in Cape Town, South Africa. 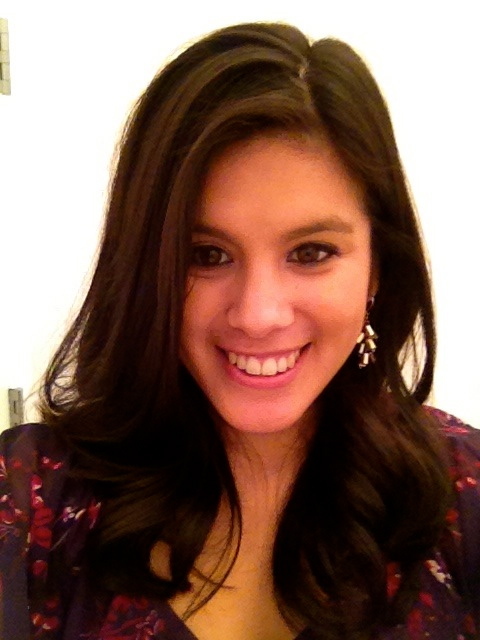 Lorilee Chien has been in youth development and education for over 15 years. From the Bay to New York, she fuses her love of dance and all things artistic into her work. A graduate from the University of Santa Cruz with a BA in Woman's Studies. Her experience, education and degree has led her to working in under served communities. 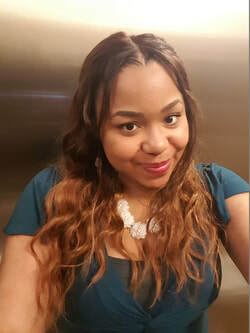 She currently works for Project Morry, a long term academic enrichment and education non-profit anchored in a summer program that serves youth from 6 different communities in the Tri-State area. She works with high schools students teaching leadership, college and career access, gender equity, issues of social justice, and the importance of community. She also runs a mentor/coach program for juniors and seniors in high school. In her spare time, she volunteers doing art with families in the Bronx at Wave Hill and now teaching with Groove With Me. She loves dance. She competed professionally in Tahitian Dance in Daly City with Manuia Polynesian Revue. She is trained in Hip-Hop, Afro-Brazilian, House, Tahitian and most recently Dancehall. She has plans to pursue a graduate degree in Expressive Arts Therapy next fall. Originally from The Bay Area, Amari has translated her diverse upbringing and love of artistry into dance. Obtaining a degree in Media and communications, from Marymount Manhattan College, she simultaneously performed as a soloist for Asha Dance Company and Kelly Donovan traveling around the country. In recent years she has choreographed musical theater and jazz pieces at the Oxbridge Academic Programs and Lightning Dance company and is excited to be apart of the Groove With Me team. She hopes to spread her love of movement with the world and touch anyone she can in the process! Marguerite D’Aloia taught Tap, Ballet, Jazz and Tumbling for over 17 years before deciding to specialize in Tap. She has taught in various studios in New Jersey and most recently at Broadway Dance Center in Manhattan. Marguerite has appeared in many off Broadway productions as well as T.V., movies, commercials and industrials. Marguerite has been teaching Tap at Groove With Me for over 10 years. Currently she not only teaches 3 classes each week, but she is a member of Groove With Me’s Board of Directors, too! Giada Ferrone graduated with a BA in Dance from Suny Empire State College and is one of the first professional dancers to graduate from Marga Nativo’s training program at the Florence Dance Center in Italy and was one of the founding members of the Florence Dance Company. Her professional debut was with the company first ever performance in 1988, at the age of 14. Ferrone has worked as a performer, educator, choreographer and producer in New York City since 1998. She was Assistant Professor of Dance at Hofstra University where she taught ballet technique for seven years. She has worked for the notable Eliot Feld Public School for Dance and Ballet Tech, teaching company class and technique for students 6th through 12th grade. Ferrone created a curriculum-based ballet program for children ages 8 through 18, which she ran at the Peridance Center for over 10 years. An international master teacher with an extensive background as ballet mistress, she guest teaches in festivals and universities across Europe: most recently at Balettakademien in Sweden and SEAD in Austria. Ferrone’s choreography has been presented at Saint Mark’s Church, Purchase, the Construction Company, Theatre of the Riverside Church, Hofstra University, Rose Theatre at Lincoln Center, the Manhattan Movement Arts Center, the Aldous Theater, the Ailey Citigroup Theater, the Florence Dance Festival and the Mugello Dance Experience. She created, choreographed and directed THE NUTCRACKER, A Contemporary Ballet, which performs every Christmas season. Ferrone produces dance and music performances in both the US and Europe and is the founder and artistic director of Toscana Dance HUB, a three-week dance and music intensive in Florence, Italy. Ferrone has taught ballet and partnering at NYU Tisch School of The Arts since 2008. She has been a full-time member of the Faculty at NYU since 2013 and is currently serving as Tisch’s Second Avenue Dance Company co-director. Angela Gallo is thrilled to be a first year teacher with Groove With Me! She began dancing at the tender age of six and her feet have not stopped moving since. What started out as an after-school hobby has transformed into a lifelong passion. Angela is so proud of her Friday night Hip Hop girls and feels lucky to be spreading the joys of dance. Originally from Trumbull, CT, she studied tap, ballet, jazz, and hip hop with Connecticut Dance! in Monroe, CT. She continued her dance career at Marist College, where she earned a Bachelor of Arts in Communications, by serving as a dancer, choreographer, and executive board team member of the Marist Dance Club. Since graduating college, Angela continues to make dance a priority in her life from picking up various dance classes around the city to dreaming up flash mob ideas, after she successfully co-created a large scale charity Flash Mob last year. Additionally, Angela spent two years choreographing for a South Bronx middle school play. She couldn’t be happier to be a part of the Groove With Me family and sincerely loves everything this organization stands for! Erin Glass fell in love with theatre and dance when she attended her first musical theater class in the 3rd grade in Corsicana, TX. In that class Erin learned skills she still uses today and made lifelong friends. She went on to earn a degree in theatre from Pepperdine University and performed in plays, musicals and cabarets in California, Edinburgh and New York. Erin has always loved working with kids and became a teaching artist in 2000 working with kids of all ages. Erin is the founder of Broadway Bound Kids which is an arts education company and she also works as a freelancer for Warrior Poets (Morgan Spurlock's production company), where she helps produce documentary and scripted content. Carina Goebelbecker is so excited to be a first year teacher with Groove With Me! She is currently a senior at Barnard College studying Theatre and English. On campus, Carina acts in productions for the Barnard Theatre Department and choreographs musicals for Student Theater. She has trained in ballet, modern, and jazz dance since she was little. Last spring, Carina spent the semester studying acting and movement at the British American Drama Academy in London. She is so thankful for the opportunity to share her passion for movement with her students. ​​Helen Harrichand has lived in New York for the past four years. Her natural penchant for arts came very early, learning to play piano, violin and flute as a small child. She began to hone her skills through her childhood and the decision to study the technique in Martha Graham School of Contemporary Dance in New York was an easy one. She has also an aptitude for maths and physics graduating with Honors as a Civil Engineer and getting her Master degree in Advanced maintenance in road Infrastructures. She is also looking into Arts administration, as the rough process of ideas in management and business operations is a vital to creativity and organization, things that she enjoys really much and skills she hopes to practice in the future as her desire to help non-profits organizations. In her spare time she supports different causes like American Cancer Society as a Fundraiser and St. Jude Children’s research Hospital. Currently she is part of the staff at Brooklyn Ballet, I had Cancer Team and Groove With Me as a Modern Dance Teacher to girls in Harlem. Her drive, passion and detailed-oriented work finds a good outlet in any discipline she performs. Brenna Hughes was born in California and has also lived in Ohio and then Oregon. She found her passion for performing at a young age in the world of classical ballet. In middle school, her performance interests expanded to include theatre, largely due to acting classes in after school programs, choir, and musical theatre camp through Oregon Children's Theatre. However, Brenna never lost her love of dance and continued to grow as a dancer through training at The Portland Ballet, summer intensives, and as a member of The Portland Ballet's pre-professional youth company. 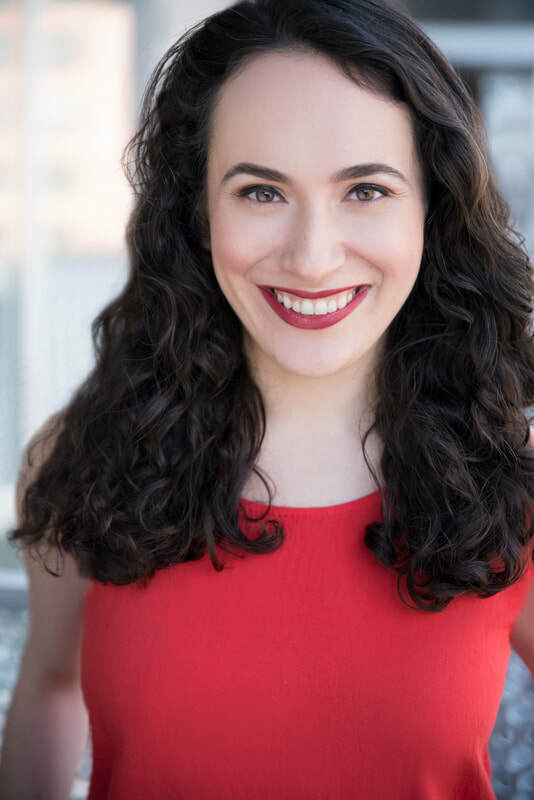 She moved to New York at 18 to attend Marymount Manhattan College where she graduated in 2016 with her BFA in Acting and a Minor in Musical Theatre. 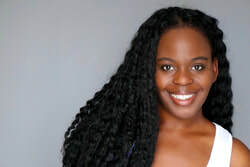 She found her passion for teaching at Urban Stages Summer Theatre Camp, where for the past five years, she has been their dance teacher, assistant director, and head counselor. 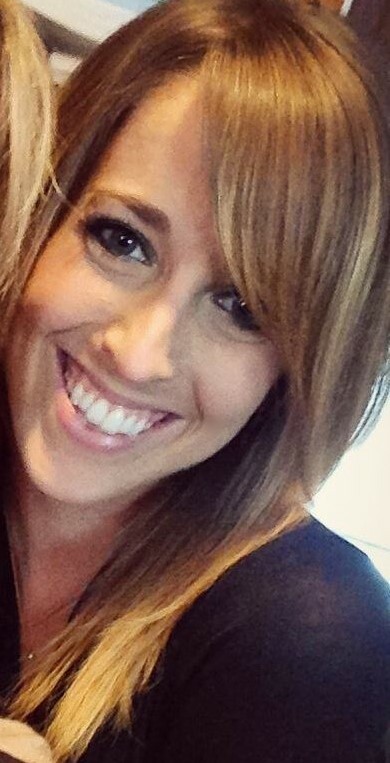 She also teaches dance and theatre in after school programs with Broadway Bound Kids. When she’s not teaching, she is auditioning or performing around New York City. Suzanne Kennedy has volunteered as a ballet instructor for at Groove With Me since 2008 and most recently started teaching yoga to kindergarten students at Hudson Guild in Chelsea. She has studied with dance movement therapists Amber Grey and Dr. Suzi Tortora and is a certified Kundalini yoga and Karma Kids instructor. She has also led creative movement programs through UNHCR and War Child in Beirut, Lebanon and is also a member of the Executive Committee for Human Rights Watch. Suzanne believes that teaching children is the greatest job in the world: “I get to play make believe, be the center of attention, eat rice krispie treats and experience the years of children when they figure out who they really are. I see little humans be empathetic, emotional, and vulnerable at the age when these acts are unscripted and uninhibited. I've experienced kids learning the purpose of reading, watch them express themselves through movement, discover the beauty of dance and witnessed a child turning into a young man and young woman.. I have met children that I hope to be like when I grow up. I guess it is absurdly cliche to say, but I have drank the James Baldwin Kool-Aid of "All the children are ours, every single one of them." Suzanne Kennedy is also the Director of the Office of the Chairman at IAC, a leading media and Internet company with over 150 digital brands in search, applications, online dating, media and eCommerce. In this capacity, she manages the daily operations of the Chairman's office, directing an administrative staff which supports the Chairman's personal and professional worlds, and oversees special projects. Within IAC she has managed philanthropic partnerships with several non-profits including Girls Who Code, Ali Forney Center, Médecins Sans Frontières/Doctors Without Borders (MSF) and Thorn.org. Alexandra Koscove is a California transplant who trained at San Francisco Ballet School and pursued a dance minor at Stanford University. She brings her passion for proper technique and solid fundamentals to Groove With Me. Alexandra works in marketing for utilities and energy companies, which aligns with her passion for sustainable living. When not working or teaching, she’s likely to be taking dance or yoga. Sarah Longhi has been teaching at Groove With Me for more than 10 years. A former 4th grade teacher, she writes and edits books for educators. She also loves to dance, particularly using the Nia Technique, a fusion fitness practice that blends energies of martial arts (like Tae Kwon Do), dance arts (like jazz), and healing arts (like yoga). Her passion is teaching kids to express themselves creatively through movement, dance mindfully with others, and gain confidence by developing strength, coordination, flexibility, mobility, agility, and stability. Saranratr Maneesawangwong is a graphic/set designer, dancer and ballet teacher. She earned a Bachelor’s degree in Industrial Design, Faculty of Architecture, Chulalongkorn University, Bangkok. Currently, she is completing a Master of Arts in Dance Education, ABT Ballet Pedagogy, from New York University. Originally from Bangkok, Thailand, she has studied ballet, street, theater and contemporary dance. She had trained classical ballet since 1993 by Nuchanart Cook and Varaporn - Karnchana Ballet School, and received Advanced 2 certification from Royal Academy of Dance, London. She used to work with Bangkok City Ballet as a ballet dancer and graphic designer, as well as, with Rachadalai Theater as a scenic designers’ assistant. Presently, she dances at Step on Broadway and teaches ballet at Groove With Me. Melissa Mangold is so blessed to be part of the Groove With Me family! She is a recent graduate of Pace University in downtown Manhattan where she earned her BFA in Commercial Dance. For the past 3 summers she has had the pleasure of performing professionally on the west and east coast in musicals such as All Shook Up, Footloose, Chicago, Crazy For You, among others. Melissa grew up as a competitive dancer and has been trained in all styles including Ballet, Jazz, Musical Theatre, Tap, Hip-Hop, Modern, and more. Throughout the entirety of her life, dance has always been the best physical, mental, emotional, and spiritual medicine for Melissa and it is a privilege to share her remedy with others. She plans to pursue a career in Expressive Arts Therapy with a focus on Movement Therapy for children. Dance is life! Melissa McCann is thrilled to be on faculty with Groove With Me this year. She is a professional dancer with a BFA in Commercial Dance from Pace University. While in college she made her off-broadway debut in Paint Your Wagon at New York City Center and performed in West Side Story produced by Carnegie Hall. After graduation she performed in the opening number of the 2016 Tony Awards with James Corden and then traveled the country for 15 months with the Broadway 1st National Tour of Finding Neverland the musical. Currently she just finished playing Graziella and Dance Captaining West Side Story at the Atlanta Opera. Trina Mezzaccappa has a Bachelor's and a Master's Degrees in Public Communications. She recently completed her second Master's Degree; this one in Childhood Special & General Education, and is now a special education teacher in Manhattan. Volunteering at Groove With Me and spending time with Groove With Me's girls inspired Trina to switch fields from Communications to Education. Trina has been dancing ballet for over 20 years. Dance has been an incredibly important outlet for her through the years and she hopes to instill the same love for dance and support for her students that she has received. Latosha Mitchell is a Brooklyn native with an immense passion for the arts. She has always been fascinated with dance, but did not decide to take it seriously until she graduated from college. Latosha has had the pleasure of working with some of NYC’s top choreographers: Chio, Ryan Davis, Shirlene Quigley, etc., some of whom have worked alongside major artists, such as Beyonce, Rihanna and Jennifer Lopez, to name a few. Her dance training includes jazz, African, modern and hip hop. She continues to take classes at Broadway Dance Center, Alvin Ailey Extension, Peridance, and PMTDance Studio, sometimes taking classes in completely different styles, such as salsa, tap, and dancehall. Although her main focus is hip hop, she fuses the different genres into her choreography. Her experience continues to grow by performing in showcases and auditioning for various dance projects throughout the city. Latosha has come to learn over the years that dance has less to do with technique and more to do with confidence and personality. She hopes to instill confidence and bring out the amazing, unique personality in each of the girls to help them shine, not only in dance, but in life. Her goal is to one day own a dance studio where she can continue to bring forth positivity and inspiration to many others. Nicole Mondragon began her ballet training in Tucson, Arizona at the Academy of Ballet at the age of four, which is where she first fell in love with the performing art. She continued studying dance throughout high school and trained at top schools around the country, including The Kirov Academy of Ballet in Washington DC, Debbie Allen Dance Academy in LA, and Central Pennsylvania Youth Ballet. Nicole furthered her education in ballet and art while in college, where she earned a BA in Art History and Dance from the University of Arizona and a MBA from Les Roches International School. She continues to take ballet classes at Steps on Broadway under the instruction of Daniel Catanach. Dance is an important outlet for Nicole and she is excited to share her passion with the students at Groove with Me. Jessi Perna-Elias is so excited to join the Groove With Me faculty this year. She has been dancing since the age of 2 and trained at First Position Dance Arts in Ardmore, Pennsylvania. Jessi studied Finance at Manhattan College and was on her college's competitive dance team specializing in hip-hop, jazz and pom. Her professional dance credit's include the Gotham City Cheerleaders, Brooklyn Royals Dance Team and Gotham Ballers Dance Force. Jessi is currently a Senior Business Analyst at a fashion company and continues to dance in the company DanceWorks New York City. Her goal is to create a supportive environment where students can express themselves through movement and develop confidence and lifelong skills. Tanyshia Phillip, Ms. T, started dancing at a young age. She attended Dance Theater of Harlem at age five. During high school she became involved in her school's dance classes, dance club, and began choreographing and performing dance in many styles including African, modern, Latin, ballet, and hip-hop. Ms. T has her masters in special education as well as certifications in early childhood education and common branch (general education). She has experience teaching in a variety of school settings with students from toddlers to teens! She loves inspiring children to move and learn in the classroom, sharing her passion for dance and movement with students. Ms. T believes dance is an expressive medium and continues to pursue her love of dance through praise dancing and as a certified Zumba instructor. It gives her such a feeling of gratification to be able to do what she does and to give back to others! Her goal is to build confidence in young children. Above all, she believes that dance should be fun for and accessible to all. Lauren Ramsey is a social responsibility professional who understands the importance of volunteerism and community engagement. Her love of dance started at a young age, but blossomed in adulthood after taking professional classes and becoming a certified dance fitness instructor. She is currently the Volunteerism Manager at United Way of NYC where her primary role is to create transformative volunteer opportunities that support both Corporate and Agency Partner needs. She has a deep commitment to youth mentorship and empowerment, and believes in the power of Art as a catalyst for community building. Michelle Ravelo is a childcare worker at a domestic violence agency called Safe Horizon. She is a volunteer for New York Care and is currently attending Kingsborough Community College majoring in early childhood education. She loves dance, music, to be bubbly and always have a smile on her face. Originally from Virginia, Lilli Ross has been living in NYC since 2014 and teaching at Groove With Me since 2015. Her dance training spans a variety of genres, including jazz, hip-hop, flamenco, ballet, modern, and partner dance styles such as salsa, merengue, bachata, and tango. In addition to teaching dance, she has also worked as a choreographer, a professional dancer, and as a classical singer. After getting her training with Little Flower Yoga in the fall of 2017, she has added yoga and mindfulness instruction to her repertoire, which she now teaches to kids and teens at an after-school program in midtown. Educated at Mills College, the University of Virginia, and Columbia University, Lilli is passionate about learning, writing, the arts, mindfulness, and environmental sustainability. It is her intention to provide her students with a safe, reliable, and consistent environment in which they can develop a deeper sense of community and self-worth while exploring different modes of self-expression. She has been in New York City since 2009, adding Masala Bhangra instructor to her teaching resume. Masala Bhangra is an accredited fitness program inspired by modern Bhangra and Bollywood dance styles, and is taught across the globe for all ages and fitness levels. When not grooving around New York City, Carissa works in wine and hospitality, currently in school to pursue sommelier certification. Audrey Saul started dance classes at age 4 in Fontainebleau, France. Shortly after, her family relocated to London and Audrey took ballet classes with the Royal Academy of Dance (RAD). She then came back to France where she trained at the Conservatoire de Melun. With the Conservatoire, Audrey performed in ballets and musicals such as Coppelia, Firebird, Cats, and La Vie Parisienne. At age 15 she received the "Certificat de Fin d'Etudes Choreographique en Danse Classique", a graduation diploma in classical ballet for the Conservatoire. Audrey then studied in the Russian technique with professors at Stanlowa in Paris. After high-school, she moved to the United States to attend Haverford College and study Political Science. Audrey continued her training at the Bryn Mawr Dance Program with professors from Pennsylvania Ballet and Ballet X. During her college years, Audrey performed with the Ballet and Modern ensembles, and joined Haverford's Hip-Hop group "Bounce" as a dancer and choreographer. 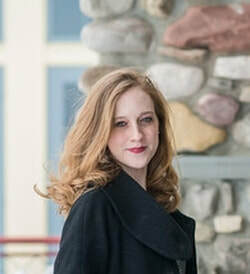 Post-graduation, Audrey joined the Joffrey Ballet School summer program in New York, and then chose to pursue a career in energy and infrastructure finance. She now works at a private equity firm and is completing her Masters in Global Affairs at NYU part-time. Audrey continues to take ballet at Steps with Professor Karin Averty from the Paris Opera Ballet, and occasional modern and hip-hop classes at Broadway Dance Center. Kim Sonsky is an artist and teacher with backgrounds in Latin Ballroom, Salsa, Cumbia, Afro-Cuban, Afro-Caribbean, Middle-Eastern (Classic & Tribal), Jazz and Hip Hop. Her training started at the age of 3 from her mother who began teaching her middle-eastern dance that stemmed from her Moroccan heritage. Throughout her career Kim has trained with Yvonne Gutierrez, Desiree Dicupé, Melanie Torres, Juan Portella, Pupy, Dalia Carella, Rachel Brice and Kaeshi Chai. She has also had the pleasure to train and perform with such dance companies as PURE (Pure Urban Ritual Experiment), BellyQueen, Dance on 2, Cache Studios, Dave Paris & The Piel Canela Dance Company. She has performed at the New York, Boston, Los Angeles, and Puerto Rican Salsa Congresses. PURE Washington D.C. PURE NYC as well as around Europe and Canada. Her specialty is fusing dance forms to create a global vision that can illustrate the empowering healing power of music and dance. She is so excited to join the Groove With Me family. Clarissa Soto currently works as the Director of Fiscal Services and Director of Cultivating Leadership in Dance at Pentacle/Dance Works, Inc. After graduating from Hofstra University with a B.A. in Dance and B.B.A. in Entrepreneurship, she found a great love for arts administration. She saw the opportunity to help artists and felt a connection with Pentacle’s mission. Since her start at Pentacle, she has worked within the fiscal, educational programming, and booking departments. She describes her work within the arts community as both rewarding and inspiring. In addition to her roles at Pentacle, Clarissa works as a bookkeeper for Robin Becker Dance and is currently pursuing her M.B.A at Quinnipiac University. Clarissa joined Groove With Me in early 2013. She is so thankful for the opportunity to work with such a lovely group of young ladies and truly believes in the organization’s mission. Jenny Thompson resides in Manhattan after receiving her extremely random yet awesome Bachelors Degree from NYU in Dance Studies, Choreography, and Performance Writing, followed by her Masters in Arts Administration from the University of Kentucky. 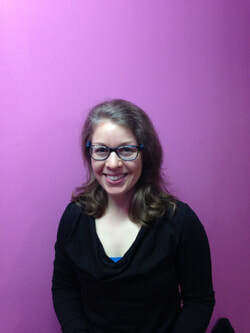 She has freelanced as a dance and theater critic since 2008 for EYE ON THE ARTS and, from 2010 - 2016, for Examiner.com. 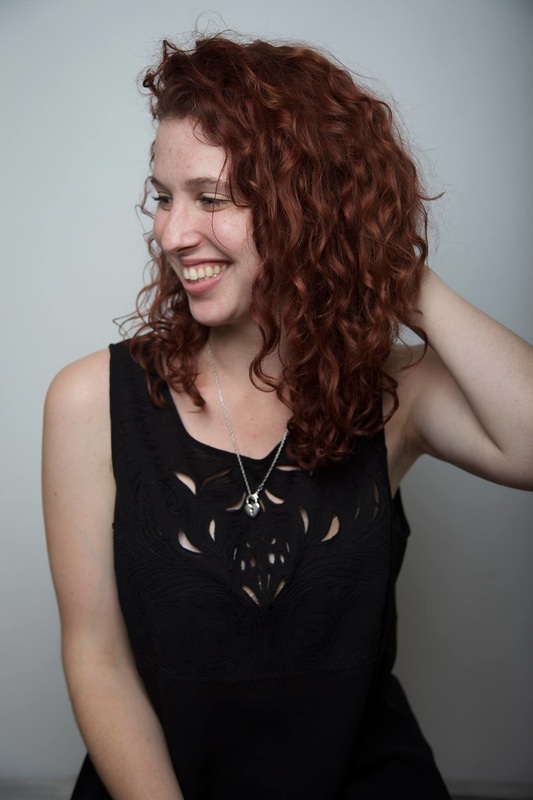 After spending four years working in development for the fabulous modern dance company, RIOULT Dance NY, Jenny became an Associate at Dunch Arts, LLC, where she's had the pleasure of working on various fundraising initiatives for the likes of Dorrance Dance, Mark Morris Dance Group, Primary Stages, and The New Group. Jenny has been a proud Groove With Me volunteer since 2011, teaching a jazz dance class for girls ages 13-18; she also recently joined Groove With Me's Young Professionals Committee. Emily Tiberio is a Bostonian who learned to love dance at a young age at her local Boys and Girls club, pointing and tapping her toes to her little heart's content. She has a love of performing and a background in dance, theater, show choir, cheerleading. A senior at Fordham University, Emily is excited to graduate this coming Spring with a double major in New Media & Digital Design and Visual Arts. She is so thankful for the incredible opportunity to share her passion for dance with the youngest dancers at Groove With Me this year! Janae Truesdale is a Bronx, NY native and former Groove With Me student. Her love and passion for dance has inspired her to spread the love through teaching. Throughout her seven years as a student at Groove With Me, she took a variety of dance styles and classes including: tap, ballet, modern/funk, jazz, hip hop, belly dancing, Afro-Caribbean, step, and poetry in motion. By day, she works in a breast oncologist's office helping cancer patients in need and is currently working towards her Master's Degree in Health Care Management. 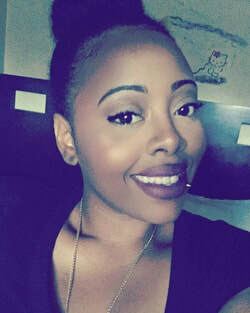 In her spare time, Janae enjoys reading, knitting, going to concerts, collecting artsy knick-knacks, exploring new places, and spending time with family and friends. She's very excited to be returning to Groove with Me for a second year to teach Theater Jazz! Originally from Colorado, Chante Waters' relationship with dance has been an integral part of her life ever since she decided she 'wanted to go on her toes like the big girls' at age five. Her training began in a traditional studio competing in Ballet, Tap, Jazz and Lyrical - eventually studying at the Colorado School of Ballet. Since moving to New York, her focus in dance has shifted to Jazz and Hip-Hop, and she had the honor of dancing for the Brooklyn Nets during their inaugural season as part of the Brooklynettes dance team. Her goal is to empower all of her students to develop a strong sense of self by teaching them how to communicate and express themselves through dance. This is Jaime's 9th year teaching at Groove With Me! She started dancing at age 5 with ballet, and soon after began jazz, tap and modern. Ballet was always Jaime's focus, and she was accepted into the School of the Albany Berkshire Ballet at age 14. Jaime went on to perform with the professional company, including touring, in productions such as Peter and the Wolf and The Nutcracker. A knee injury ended her professional career, but she went to college and graduate school for clinical psychology. Jaime currently tries to keep dancing in her life as much as possible, including ballet, tap, jazz, modern and most recently, ballroom dancing, swing dance and Lindy Hop. She currently works in psychiatric research focusing on suicide prevention with Veterans. Jaime feels incredibly lucky to have found Groove With Me nearly a decade ago, because it's a place for her to use her dance background to create positive change in the community. As a teaching artist, she hopes to instill in her students the values that she has learned throughout my years as a dancer: dedication, perseverance, and creativity. Jaime strives to create an inclusive environment that values the individuality of each of her students and encourages them to find their own voice and confidence as they grow into young women. Stacey Young hails from San Francisco, CA and has been dancing Polynesian dance for over fifteen years. She has danced as an entertainer, a competitor and a carrier of the Hawaiian, Tahitian, Samoan, Tongan and Maori traditions. Polynesian dance is a place where we are not only learning about a dance, but the culture, history and traditions behind it. Meaning that our class consists of dancing, chanting, singing, costume making and classroom teaching. Stacey started her journey with Spirit of Polynesia in San Francisco, CA under the direction of James Kimo Barid and with Hula Halau 'O Ke Ala I Ka Pono under the direction of the late Kumu Hula Tatiana Kaneholani. 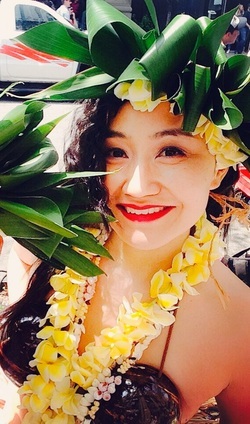 After moving to New York in 2014, Stacey was invited to dance with Hula Halau Pua Ali'i 'Ilima o Nuioka in New York, NY under the direction of Kumu Hula Vicky Holt-Takamine. 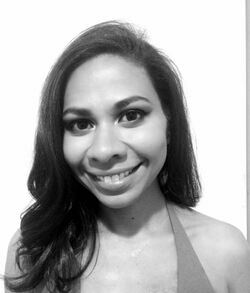 Dancing is a bit outside of her normal 9 to 5, with a background in computer engineering, she currently works within the advertising technology industry as a product leader bringing innovation to the platform technologies that help deliver content to the consumer. Putting together her love for dance and technical management know how, Stacey hopes to use her experience to enrich the skills that young women leaders need to excel in their lives inside and outside of the dance studio.